In a speech at the United Auto Workers' convention, presumptive presidential candidate Hillary Clinton tried to establish herself as a pro-defense Democrat, who's willing to criticize George W. Bush, but still tough enough to wage the War on Terror. Instead, she sounded like the second politician in history to have sought the foreign policy advice of Amy Carter. "You cannot explain to me why we have not captured or killed the tallest man in Afghanistan," she said, in an attempt to portray the Bush administration as inept. Naturally, she would have nabbed Osama bin Laden long ago if she'd been in charge. In a large country with forbidding, mountainous terrain and a maze of secret tunnels and caves, a guy 6-foot-5 has got to stand out like a sore appendix. Furthermore, history is on Hillary's side. After all, Abe Lincoln was also very tall, and look what happened to him. Not only is a tall man an easy target for an assassin's bullet, but bin Laden is especially vulnerable. Since his height has gotten him into the Afghan Book of Records, all we have to do is spray the whole country with gunfire, aimed six feet and four inches off the ground. Not only will this inevitably kill Osama, but by the process of elimination, all innocent Afghans will be spared. Sen. Clinton seems to forget, however, that her husband claims to have been "obsessed" with finding bin Laden himself. What must he have said when his "co-president" chastised him for failing to hit so tall a man with a missile? Of course, it's doubtful that any such conversation ever took place. When Mrs. Clinton criticizes President Bush's prosecution of the war, it never seems to occur to her that Osama was already a wanted man during the previous administration. Nor does she take the terrorist leader's disappearing act to mean that we're winning. Sure, it would have been preferable to have killed or captured bin Laden by now, but the primary reason it hasn't happened is because he's accepted his personal safety as a trade-off for his diminished ability to organize attacks. 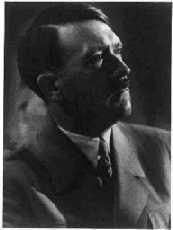 If an enemy's mere survival were the leading indicator of our success or failure, then Hitler must have been an idiot to shoot himself, because up until that point, he had the Allies right where he wanted them. He even had the strategic advantage of being relatively short. Liberal senators like to criticize Bush for putting things in simplistic terms, but leave it to the de facto leader of the Complexity Party to reduce the War on Terror to a game of Whack-a-Mole. In reality, this remark of hers is typical of the total lack of seriousness with which she discusses foreign policy. Another example of this is the letter she wrote to her constituents on November 29th, explaining why she's withdrawing her support for the war in Iraq. This change of heart was brought about in part by what Sen. Clinton called, "the proven absence of weapons of mass destruction." 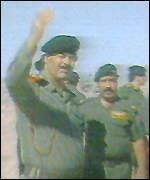 For now, let's put aside the facts that the Duelfer Report acknowledges the finding of small amounts of WMD, that the UN Monitoring, Verification and Inspection Commission reported that equipment for producing WMD had been removed from 58 missile sites before and during the invasion, and that we've barely even started translating the documentary evidence from Saddam's own files. Let's instead accept the fictitious premise that we've come up completely empty-handed. That still wouldn't add up to a "proven absence" of WMD. For a reputedly intelligent lawyer like Mrs. Clinton to put such a logically indefensible statement into print betrays a lack of forethought that could come back to haunt her in the 2008 campaign. In order to prove the absence of something, you'd need to know the contents of the area from which it is said to be absent. In Iraq's case, that would require digging up the whole desert. Besides, the absence of WMD from a particular site today does not necessarily mean that it was also absent from there when Congress approved the invasion in 2002. If the former First Lady thinks it's been "proven" that Saddam hasn't moved or buried his weapons, then it's no wonder that her husband seems to get away with everything. You can just imagine how an ordinary day in the lives of the Clintons must sound. HILLARY: Hey Bill, did you eat all those muffins? BILL: Uh ... there weren't any muffins ... and I can prove it! HILLARY: That's strange. I could have sworn we had some muffins around here. By the standard of proof she accepts, a killer could "prove" that he didn't possess the murder weapon, simply by depositing it in the nearest swamp. But what happens if the police still find enough remaining evidence to convict him? Anyone who had made a political cause of the killer's alleged innocence would be made to appear foolish. Hillary Clinton could find herself in a similar position between now and the next presidential election, as the secrecy of Saddam's programs continues to unravel. In her letter, the senator explains that she'd been tricked into voting in favor of the invasion, by misinformation from the White House. If discoveries in Iraq force her to reverse course again, will she then claim that she'd been misled by the other side as well? Even if she succeeded in displacing the blame, she would appear incapable of drawing a conclusion of her own. That's hardly the image she'd want to project while applying for the job of Commander-in-Chief. Sen. Clinton is unable to seriously analyze the War on Terror, and will remain so as long as she continues to use the Clintonian tactic of triangulation. She is trying to rise above the debate by finding a position in the middle, which means she's ended up there by design, and not because it's where the facts have led her. She must criticize the war effort, not because it's going badly, but only because her political calculations demand it. That being the case, her reasons for doing so will not necessarily have the benefit of being rational. Ergo, you cannot explain to her why we have not captured or killed the tallest man in Afghanistan. Undoubtedly, she considers herself to be a deep and complex thinker, but her triangulation strategy is two-dimensional. If President Bush is at point X, and his shrillest critics are at point Z, then Hillary has got to occupy point Y. That may be a shrewd political maneuver, but as a matter of policy, it leaves a lot of explaining to do, and she doesn't sound like she's up to it. The senator justifies this triangulation by claiming that she's been deceived by the administration, but it may simply be that Bush's conduct of the War on Terror has escaped her comprehension. That's because the president is playing geopolitical chess, whereas Sen. Clinton has got a tic-tac-toe mind.